Full Boar™ ammunition from Hornady® features hard hitting GMX® bullets for deep penetration and maximum weight retention. These monolithic copper-alloy bullets deliver 95+% weight retention and uniform, controlled expansion for unmatched terminal performance on the toughest game. The GMX® is California compatible and approved for other areas that require the use of non-traditional bullets. 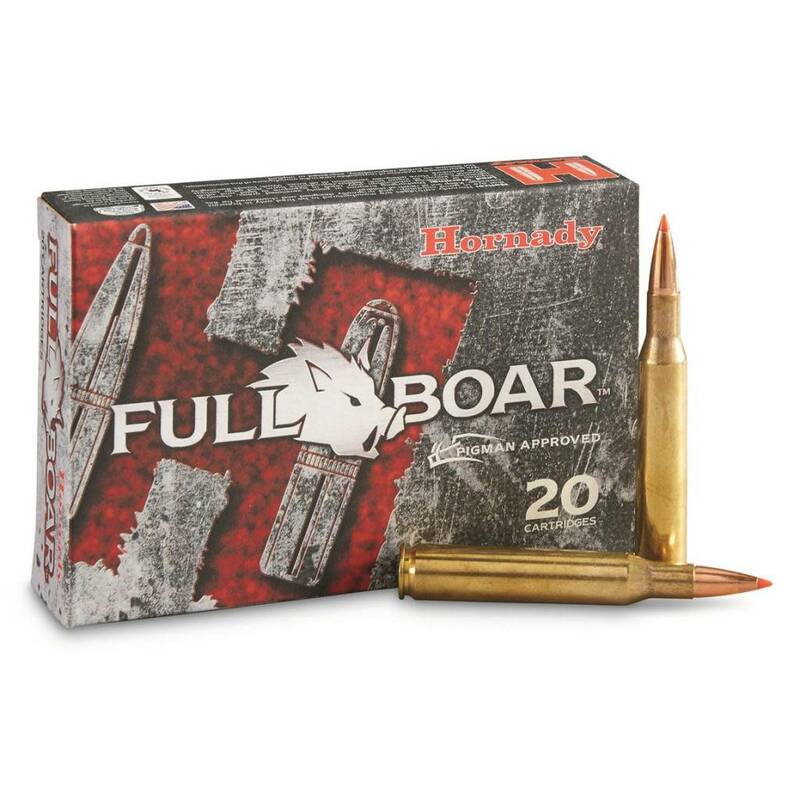 Hornady® Full Boar™ ammunition – proudly made in the USA!